Andun provide crane design services for projects where access, load or work sequencing challenges require a bespoke design solution. Andun can provide a full design solution, from the initial design through to fully detailed fabrication drawings. This can include undertaking the assessment of any loads imparted onto the existing structure if required. Andun can where appropriate use the latest 3D modelling and FEA techniques to design, analyse and demonstrate proposed designs. 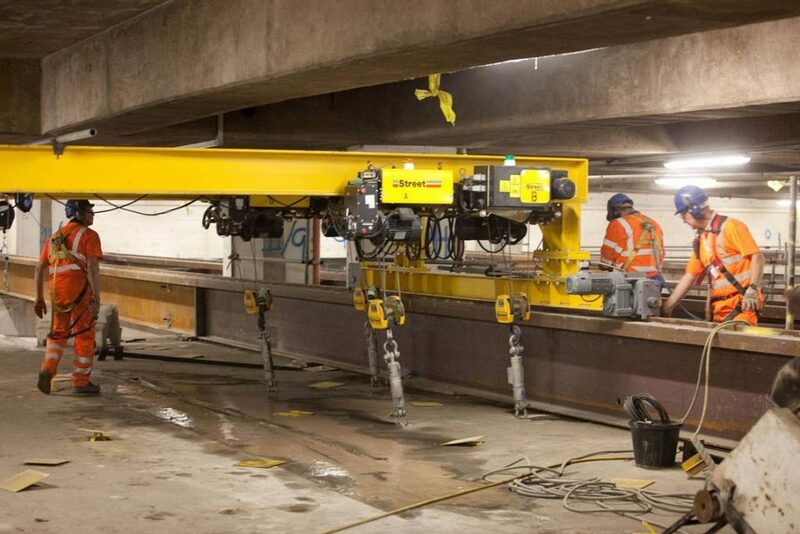 Andun designed a bespoke crane solution as part of the Birmingham New Street railway station redevelopment. Our team designed a system of overhead gantry cranes to be installed within the mezzanine level of the structure. The cranes ran on substantial crane rails which spanned from gridline to gridline, directly adjacent to the columns. This allowed the cranes to be used to lift out sections of the structure in approximately 10 Te sections, without loading the concourse level slab. Our works included the full design of the crane, including fabrication drawings and specification for the cranes working components. 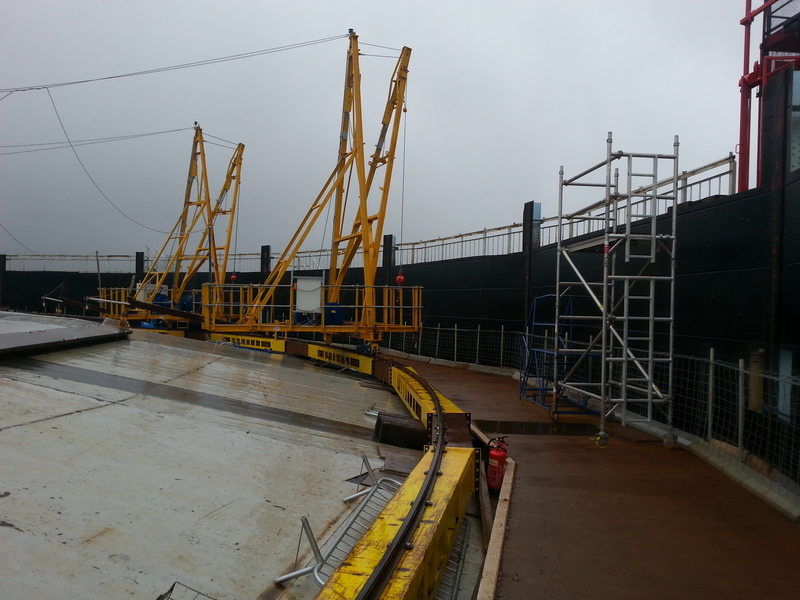 We also undertook the assessment of the structure to prove it could carry the loads from the cranes. Additionally, proving that the stability of the structure was not compromised by the removal of a floor. We have undertaken cat iii checks on numerous tower crane bases, as well as gantry cranes, hoists and lifting gear designed by others.